With the rise of “Chinese Manufacturing”, more and more Chinese enterprises have begun to enter the international market in order to compete globally. In the digital age, a company’s website is the window through which the public can learn about them. It is used to establish a strong corporate image and introduce products and services in order to enhance the influence and competitiveness of an enterprise. Well-designed and localized, multilingual websites present a strong, composed image to the international market and give western consumers a positive brand experience. Unfortunately, the English websites of most Chinese enterprises have a lot of room for growth, as they still follow a pattern of literal translation and ignore cross-cultural factors, therefore failing to achieve the desired results. In general, the problems that exist across Chinese websites translations can be grouped into 3 types of errors: misspelling or misuse of words, incorrect syntactic structure, and cultural differences. Misspelling demonstrates a translator’s inexperience and unprofessionalism. A lack of attention to detail and unreliable attitudes may result in confusing spelling and grammatical errors. This image, which was taken from an important national website, contains two misspelled words: “Riad” and “Strategt”. Additionally, the word “terrace”, which generally refers to a paved outdoor area adjoining a house or building, is used instead of ‘platform’ as this sentence is referring to the virtual network platform. When working with translation, it is crucial to have translation carefully proofread and edited before content is published. But unfortunately, misspelling and misuse errors are still common throughout China. 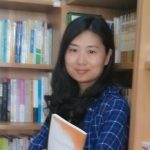 There is often a disconnect between the thought, culture, and language of China and the rules and cultural customs in English-speaking countries. It is easy, therefore, for there to be grammatical or syntactical structure errors when moving from Chinese to English (or vice-versa). By not observing the syntax rules of your target country, translations come across as unprofessional or poor quality, impressions which consumers often carry over to the brand. In other words, poor English leaves consumers assuming that your company or product is poor too. 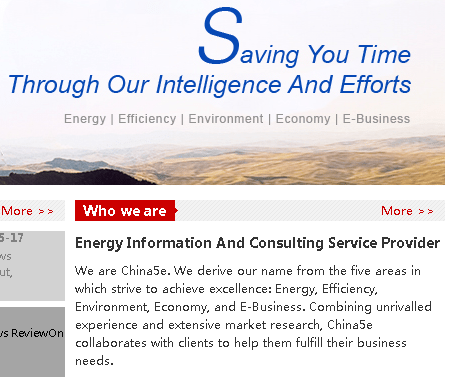 The biggest problem Chinese companies face when translating their website is the potential for cultural differences. The advertising style of Chinese companies is generally more exaggerated; the language is wordy in accordance with the typical Chinese style of using bureaucratic language and flattering words. Foreign companies, especially Western companies, tend to use simple language, utilizing intuitive thought and specific statements to highlight key qualities and quickly portray information. When translating Chinese websites a linguist must take into account the cultural differences between the East and the West and the expectations of Western audiences. This often means changing the style of the original text to fit the target audience. Without adhering to these styles, a translation will fail to achieve its objective of selling a product or service to a new market. This translation conveys the exact meaning of the original Chinese and uses the typical style of Chinese advertising. However, Western consumers may find this description, which exaggerates the function of the tea, to be unbelievable, which may lead to them not trusting, therefore not using, the product or the company. The translation of Chinese enterprises or institutions’ websites does not simply entail converting the Chinese text into a different language as there are many cultural adjustments that need to be made. Always keep in mind that readers are foreigners and that content should be adjusted to meet their expectations. A lack of cultural adjustment, correct syntax, and quality reviewing may lead international consumers to the conclusion that your company is not a quality brand, causing potentially irreparable brand damage in international markets. As a world leader in localization and global consulting services, CSOFT provides professional solutions for companies to help them overcome the barriers caused by cultural differences. I have a basic knowledge about website translation. After i have reading your blog i have a clear view about this topic.